This jacket fits close-to-body, inspired by the vintage corsetry from the collection of The Royal Ballet atelier. 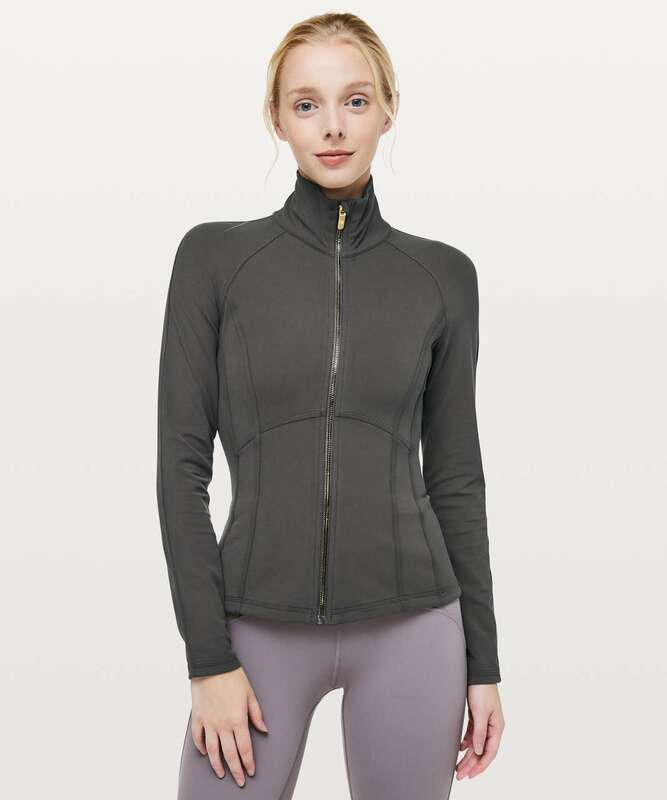 Soft, technical Nulu™ fabric makes it easy and comfortable to move and sweat in. Francesca requested a tight fit and high-hip length for distraction-free warm-ups and lifts with her partner.